Award winning comedy duo, Matt Baram and Naomi Snieckus (Baram & Snieckus) come together as alumni of The Second City Comedy Theatre in Toronto, and real life married couple on this planet, to host their completely improvised, no holds barred, comedy podcast. That's right, the show is all made up with their instantaneous face words! Each episode they're even joined by one of their genius funny friends who not only share their insights about life but improvise a couple of sketches with B&S along the way. 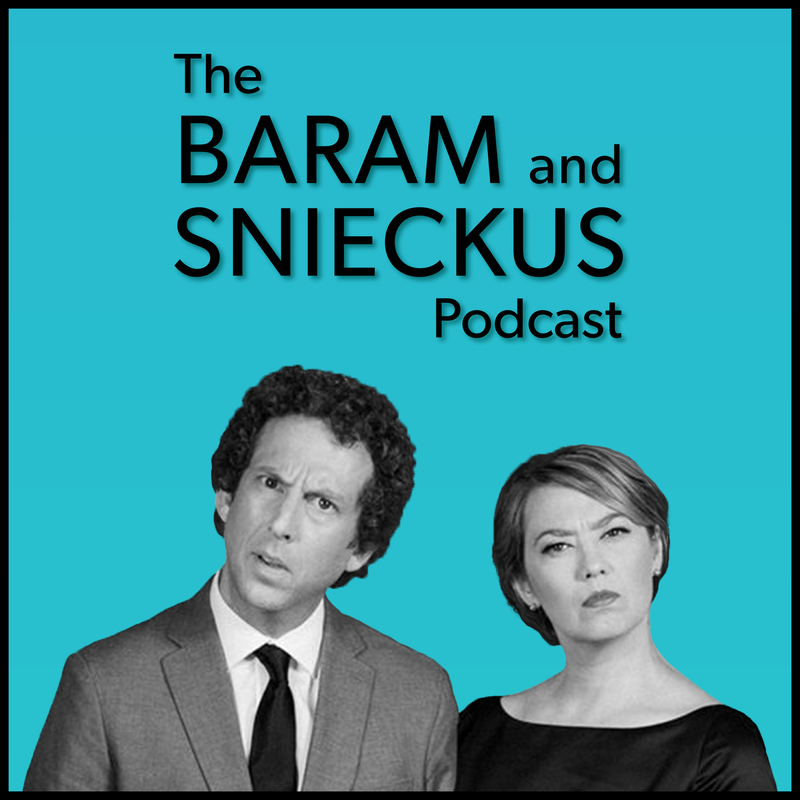 The Baram & Snieckus Podcast showcases the unique point of view and chemistry that comes from being a real life comedy couple. Past guests have included Colin Mochrie, Emma Hunter, JR Bourne, Ron West, Jaime Moyer and more. Created and written by Matt Baram & Naomi Snieckus with sound design by Apollo Studios. "Worried Song” written and performed by Ron Sexsmith. 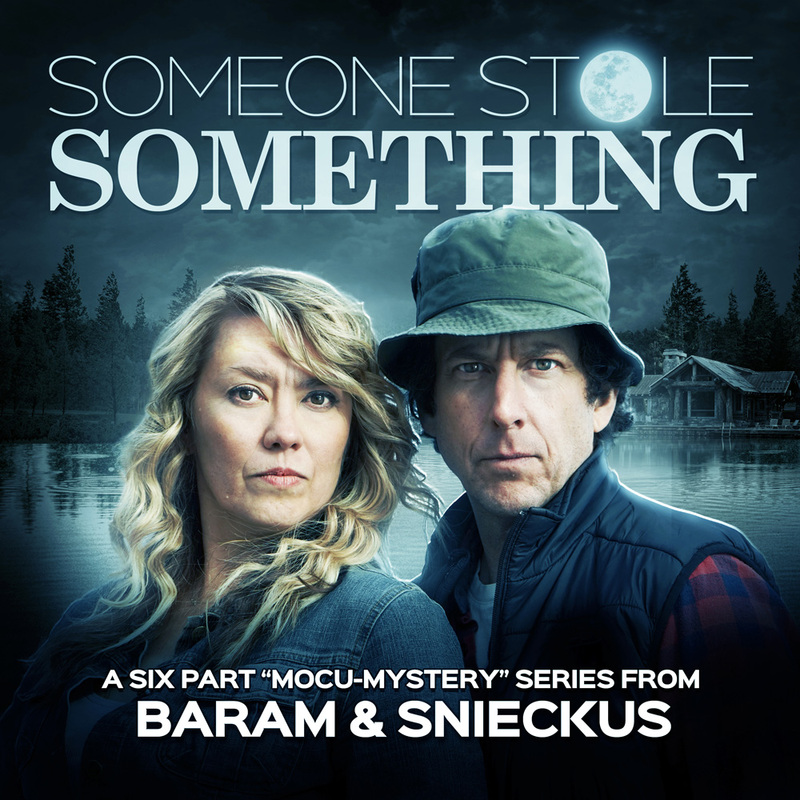 Someone Stole Something is a six part serialized mocu-mystery podcast that parodies the True Crime genre. Think Someone Knows Something or Serial and then think about laughing through the episodes rather than being stressed and sweaty. The story follows fictional married couple Ira and Julia Leiser, (Matt Baram and Naomi Snieckus) new residents of a sleepy cottage town, who embark on an investigative journalism quest to uncover the truth about what happened to three of their missing patio chairs that went missing after a party they threw in the late summer of 2016. The couple are compelled to ask their lake neighbours some pretty uncomfortable questions and as accusations fly in every possible direction, it’s not long before they turn on the last possible suspects; each other. Calm down, we're working on it. Coming in May.